Aħdar Id-Deżert, is a new production for 2016 to celebrate the growth of Opening Doors to three groups. This is a devised, collaborative work, amongst a team of 38 people including directors, assistants, volunteers and student members. The first building blocks began at the beginning of our artistic year, in October 2015, where each of our three groups worked separately on ideas that we related to travelling, journeying, migration. Under the guidance of Artistic Director Sandra Mifsud, the three groups have worked together, shared rehearsals and discussed the theme at length since January 2016. People travel for various reasons, using different modes of transportation. Many also walk or travel in whatever means they have available to them, covering very long distances … to follow their dreams, to find freedom or to look for a loved one. On a different note, birds and other animals also journey for different reasons … to them, borders and geographical names of countries are meaningless. Freedom of movement is a basic need, common to all beings on our planet. And Green is the colour of Hope and a desert is an expanse of dry land with the potential to blossom, given the right conditions. This is the first time that Opening Doors has embarked on an integrated full-length work. The first performances at The Box, Mosta, in May 2016, showed the work at its initial stages. The aim is to continue to develop this production over the next 12 months by performing it on tour in several locations around Malta and Gozo. We will continue to develop the piece, adding new scenes and eventually ending a full year’s tour of the production at an established theatre in Malta and/or Gozo. Aħdar Id-Deżert, is a vehicle for Opening Doors to expose its work to various communities, marketing its services amongst Day Services with the aim of recruiting more student members and extending our reach to more people, breaking down barriers and misconceptions related to disability and exposing the public to appreciate different aesthetics in performance. Aħdar Id-Deżert is also the perfect recipe for its members to continue to develop their creative, artistic and performance skills in a safe but challenging environment. 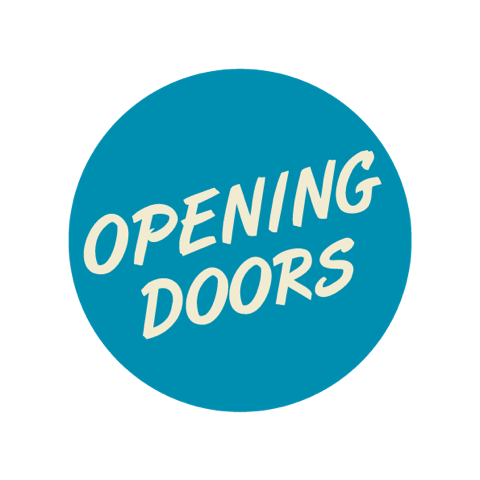 Opening Doors Association would like to thank all our funders, patrons, supporters and parents, without whom such an endeavour would not be possible. In the current year, 2015-16, we have been very fortunate to gain project funding from the Voices Foundation (Heart is Music), Premju tal-President ghall-Kreattivita (Physical Theatre, Puppetry and Mime) and Malta Arts Fund (Skont id-Daqqa Niżfen). We have benefitted from in-kind support from The Box, Mosta; the Manoel Theatre; Spazju Kreattiv; Alison White Studios and A4U. The OD organisation could not function without this generous support.